The Armenian bishop of Djulfa, Azerbaidjan. 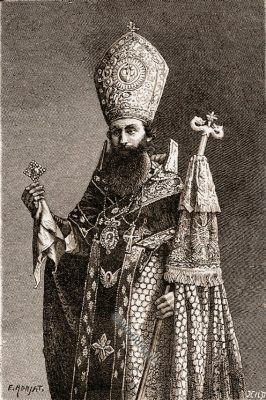 This entry was posted in 19th Century, Armenia, Asia, Ecclesiastical and tagged Architecture, Ecclesiastical Dress, Traditional Armenia costumes on 12/12/16 by world4. 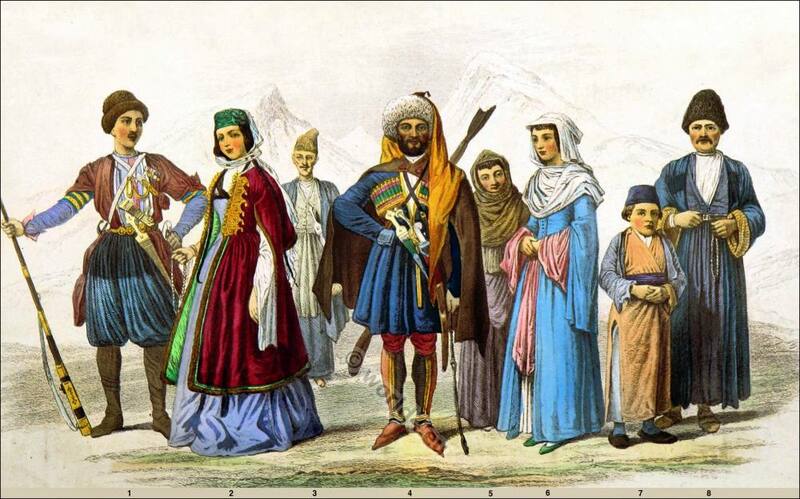 This entry was posted in 1843, 19th Century, Armenia, Asia and tagged Auguste Wahlen, Traditional Armenia costumes on 2/6/15 by world4. 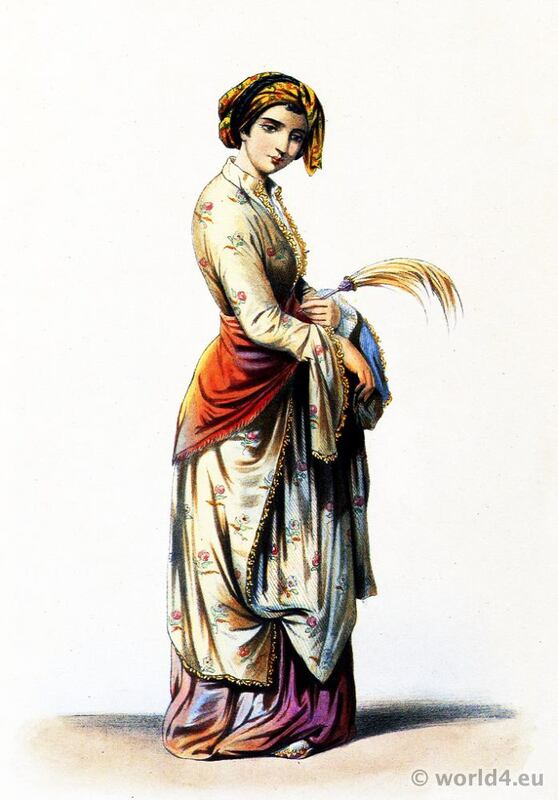 This entry was posted in 1850, 19th Century, Armenia, Asia, Traditional and tagged Traditional Armenia costumes on 12/20/14 by world4. Armenian woman from Constantinople in traditional costume. Armenian woman from Constantinople in traditional costume, 1850. This entry was posted in 1850, 19th Century, Armenia, Asia, Ottoman Empire, Traditional and tagged Ottoman Empire costumes, Traditional Armenia costumes on 11/21/14 by world4. This entry was posted in 10s, 20th Century, Armenia, Asia and tagged Living Races of Mankind, Traditional Armenia costumes on 11/18/14 by world4. Armenian lady of Constantinople 1850. 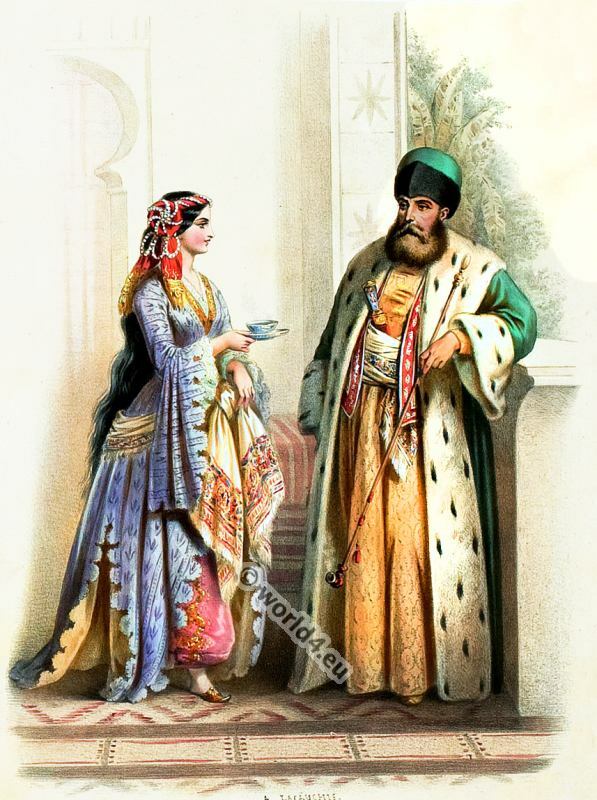 This entry was posted in 1850, 19th Century, Armenia, Asia, Ottoman Empire and tagged Lipperheide, Ottoman Empire costumes, Traditional Armenia costumes on 9/30/14 by world4. Armenian Hamal. 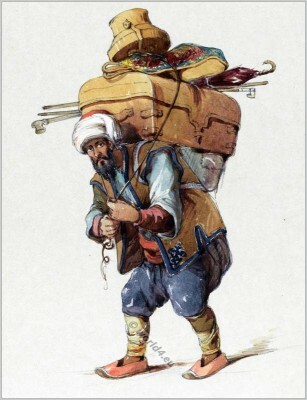 A porter or bearer in the Ottoman Empire. 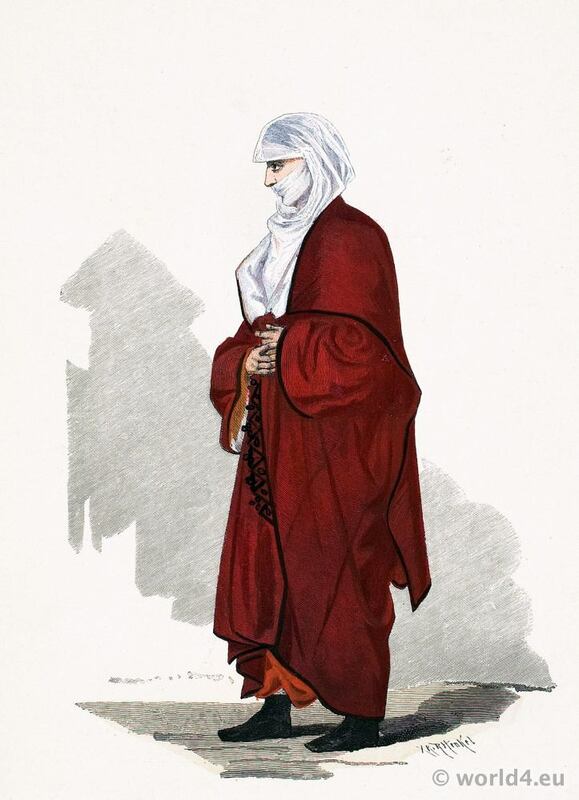 Hammal, ḥammāl in Arabic, was the name given to the occupation of carrier. The Hammal had their own organization, a kind of early union. They carried the merchandise through the narrow streets of Constantinople between the Han. The large warehouses were referred to as Han. 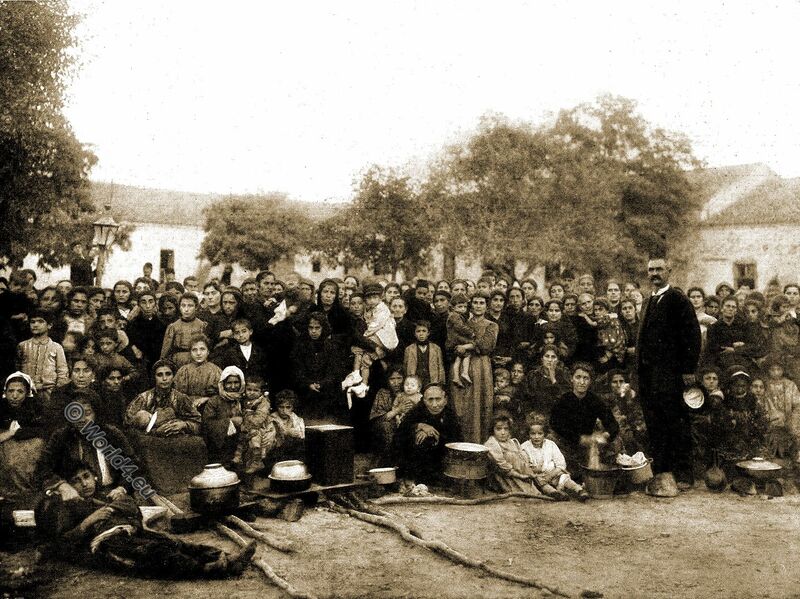 From the book: Stamboul, Recollections of Eastern Life by Amedeo Preziosi. Published by Lemercier Paris 1861. 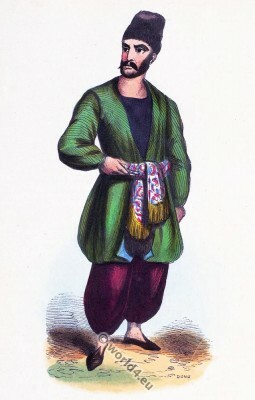 A Hamal or common porter by Octavian Dalvimart (with detailed description). The Costume of Turkey by Octavian Dalvimart. Printed by Howlett and Brimmer. Published in London, 1804. 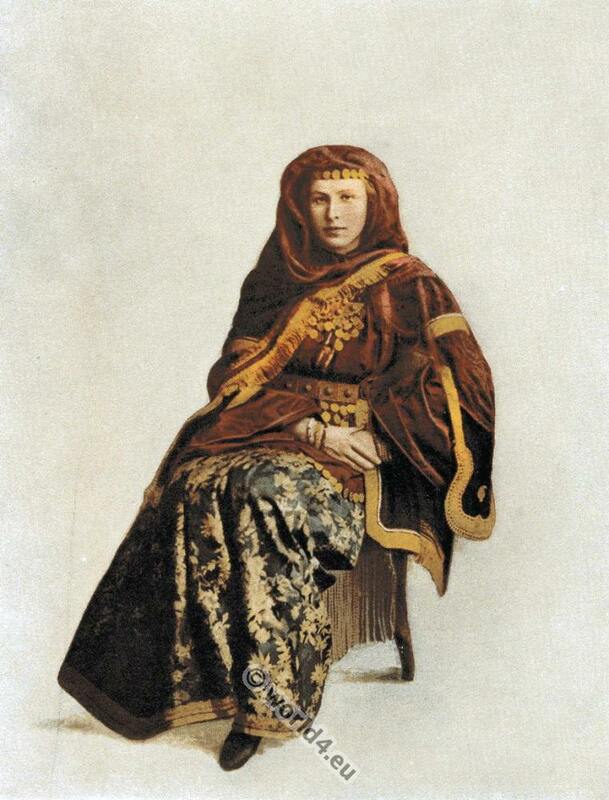 This entry was posted in 19th Century, Armenia, Ottoman Empire, Turkey Costumes and tagged Amadeo Preziosi, Ottoman Empire costumes, Traditional Armenia costumes on 9/14/13 by world4. 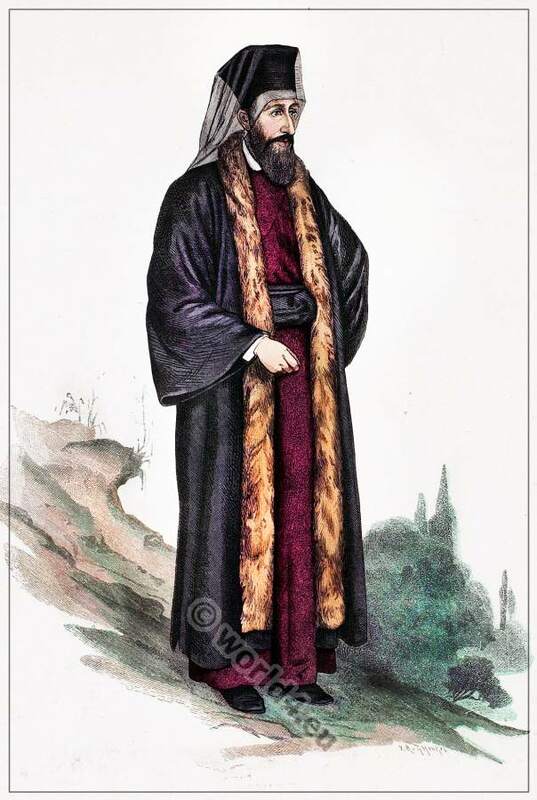 Armenian orthodox catholic priest costume 1840. 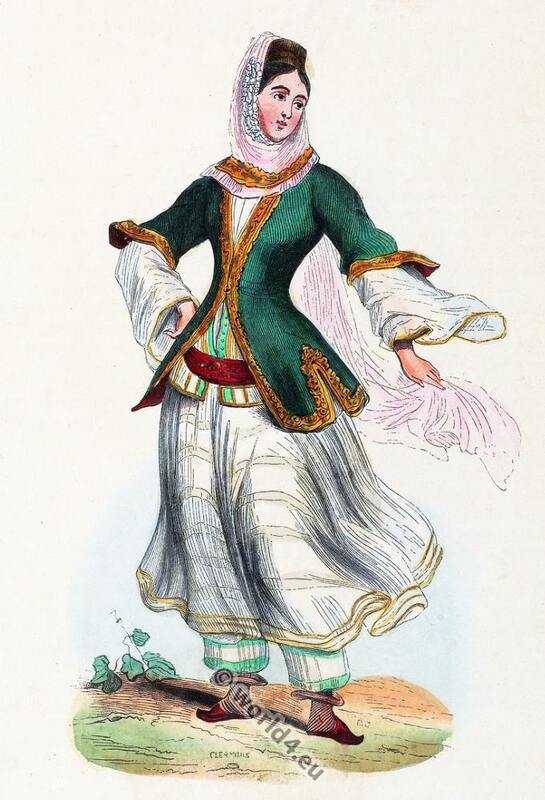 This entry was posted in 1840, 19th Century, Armenia, Asia, Ecclesiastical and tagged Ecclesiastical Dress, Lipperheide on 6/24/13 by world4.